Firstly I would like to apologise for the delay in posts. I realise it has been quite some time since my last blog post! In recent weeks I have been out on the bank pretty regularly, fishing the open matches and the winter league matches at Lindholme Lakes. Fortunately I have had some decent successes of late and this has come mainly by fishing one particular method; that been long pole and hard pellet on the deck. I have real confidence in this method at the minute and hopefully this will continue through the winter. All these results mentioned above have revolved around fishing hard pellet on the long pole on the deck . The only thing that has altered during the last few weeks is the way I have fed. This has changed from using a catapult to using a pole mounted pot and tip tapping the pellets in. The rig I use for hard pellet fishing in the cooler months never changes as I have massive confidence in it. 0.3g AS1 float - This is a wire stemmed float which gives unrivalled stability which is essential for pellet fishing. 0.14 Browning Hybrid Power main line - This is a strong mainline which is stiff enough to prevent tangles and robust enough to prevent breakages when constantly rubbing on the net. 0.10 Cenex Hooklength - This is super supple and discreet which helps you get and hit shy bites (a must in winter). It is also strong enough to deal with Carp and F1s. I use a 6" hook length as it keeps the dropper shot just far enough away from rubbing on the fish whilst they are feeding, which could spook them. My Shotting pattern never changes, I have a bulk of 3 x no 8 shot set 12 above the hook length which have a small gap between each shot. This enables the line to stretch between the shot preventing weakness. I also have 2 no 10 droppers set with 1 directly above the hook length and the other half way between the the first dropper and the bulk. This gives a nice slow fall which is essential for the way f1s feed. 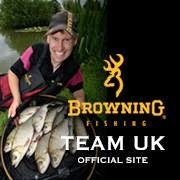 The elastics I use are both from the Browning Stretch 7 range. Firstly the yellow, which is an 8 plus rating. This is not the lightest elastic but it is very forgiving, it also has a bit power when required if used through a puller. The other elastic I use is the blue, which is a 6 plus rating. I tend to use this if smaller F1s are the quarry. This is probably the most important part of any fishing and if you can get this right you can have a great day, but get it wrong and you can destroy the peg in seconds. My biggest bit of advice, especially at this time of year would be to feel your way into the session. What I mean by this is start with minimal feed; you can always put more in but you can't take it out! During the summer months I like to use a catapult for nearly all my feeding, which these days is more commonly known as "pinging". By feeding this way you can catch on the deck then as the session progresses you can catch shallow as the fish come up in the water to compete for the feed. A great summer tactic! 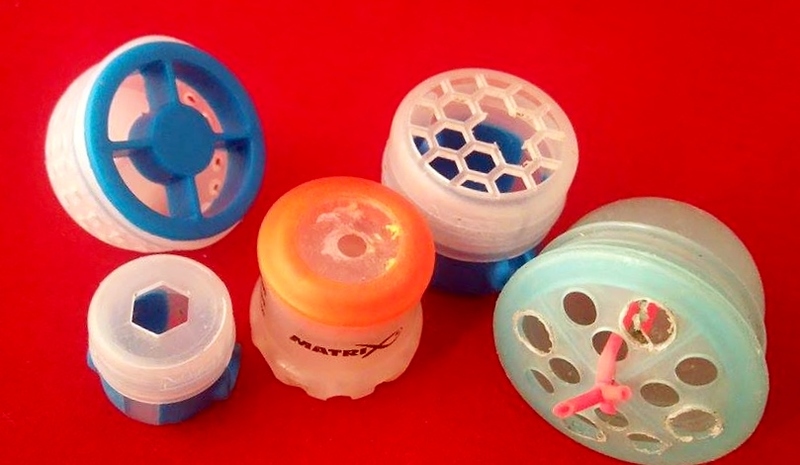 As the weather changes and the water starts to cool, the way you need to feed starts to change. 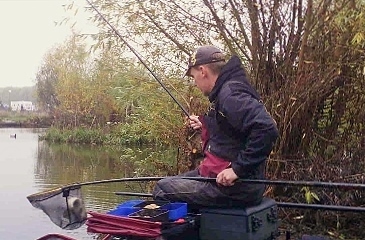 You may still be able to use a catapult but I tend to opt for using pole mounted kinder pots, as fish become less active and are less willing to go searching for feed, so keeping the feed in a nice tight area should draw the fish in and keep them in the swim. "Well that's the theory anyway!" I have loads of different types of pole mounted pots and they are nearly all adapted for trickle feeding. By trickle feeding you can monitor carefully what feed is going into your swim and you don't have to feed it all at once. You can feed 2 or 3 pellets then lift and drop the rig a couple of times, then tap a couple more pellets in and do the same until a bite comes. You can gauge then how many pellets you need to feed. Pellet size can be massively important and my personal favourite size is 4 mm for feed and hook. Lindholme contains lots of silverfish and micros seem to draw these in really quickly, something the 4mm pellets don't seem to do. I believe that sound plays a fairly important part in attracting fish into the peg and the 4 mm pellets make a lovely little 'plop' as they hit the water. For the hook I always start with a 4 mm pellet in the band as this matches the feed and appears natural. If however bites reduce it can be worth trying a 6 mm pellet as it can sometimes trigger a response. During the last few matches, using this method has worked a treat. I have on most the matches started with 2 lines at 13 meters, 1 at 10 o'clock angle and 1 at a 2 o'clock angle. I start by tapping 6 pellets on the 10 o'clock line the moving the rig to the 2 o'clock line and tapping 6 pellets on this line too. I then lower the rig in slowly to mimic a falling pellet. By feeding and lowering the rig this way a response usually comes quite quickly. Every time I ship out I feed the opposite line to what I'm fishing first, that way hopefully this line will be primed for when I go on it. I will change lines when bites go iffy or ease. I then feed the lines the other way around. If bites disappear completely it's always worth just adding a section and pushing out past the original feed point as the fish may have backed off slightly. This is something that has happened during the last few matches and it has put me straight back on to the fish. I will point out though that this tactic and feeding will not work at every venue, but it will work at an awful lot of them that stock Carp and F1s. 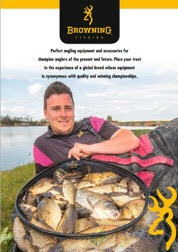 By adopting this approach you may be able to adapt it to suit the venue you fish.